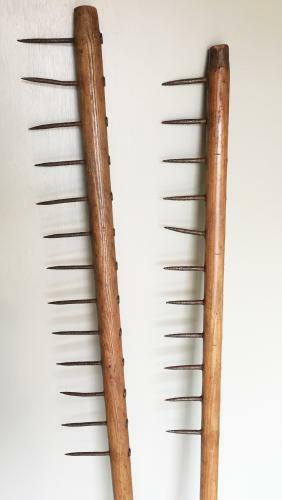 Antique Norfolk Thatcher's Combs in excellent condition. One has an iron end (£55) to push into the thatch the other is (£48). Both in Ask with all original teeth and in good condition. Again from the same Norfolk Thatcher.